The coalition meets every month on the third Thursday from 10 a.m. - 12 p.m. All are welcome! If you’re interested in attending a meeting, sign up for coalition updates. See the Homes for All Calendar for more details. Click here for archived meeting minutes and resources relating to the 2018 Legislative Session. Click here for archived meeting minutes and resources relating to the 2017 Legislative Session. Homes for All is a statewide coalition that advances shared policy initiatives that lead to housing stability for all Minnesotans. Homes for All supports statewide investment across Minnesota's Housing Continuum. 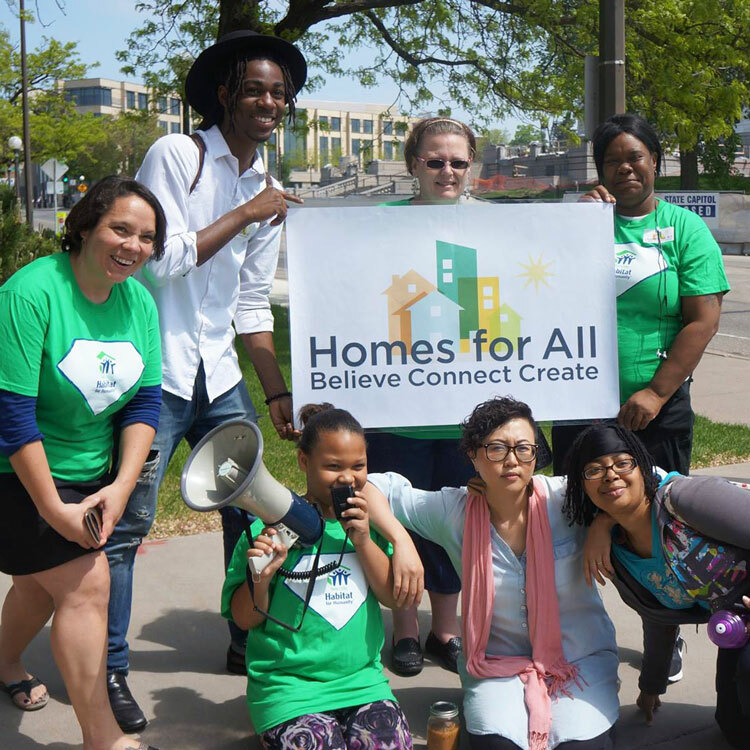 Homes for All is a statewide coalition that advances shared policy initiatives that lead to housing stability for all Minnesotans.